On-page restaurant SEO is one of the most important aspects of your restaurant’s website. Yet we see so many restaurant owners who haven’t invested the time or expertise into getting their on-page SEO sorted. And this can seriously limit how well your restaurant can rank in Google. If you’re not operating in a competitive market, that might be okay. But if you’re a pizzeria in downtown Chicago, that’s a huge problem. 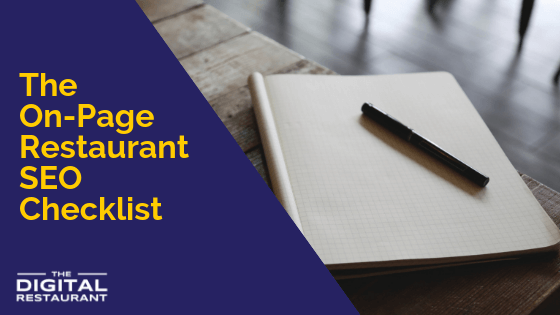 So today we are going to look a checklist that you can use to make sure your on-page restaurant SEO allows you to rank as well as possible. Are you ready to sort your on-page SEO? 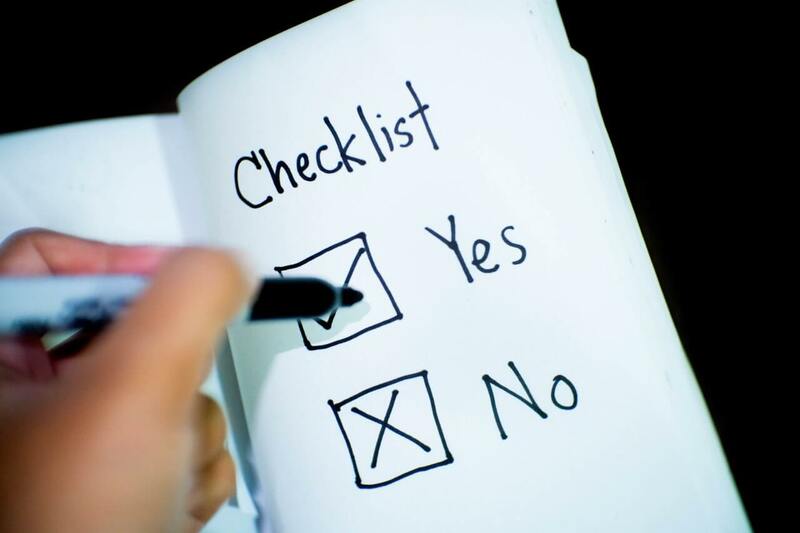 Sit down, set aside a couple of hours, and let’s get your on-page SEO sorted in ten short steps. For every major page on your website, you will need to identify a primary keyword to target. You can also target a secondary keyword that is closely related to your primary keyword. How do you find these keywords? There are lots of online tools such as the Google Keyword Planner, KeywordTool.io, Ahrefs, Moz, and SEMRush. Alternatively, you can find more help on finding keywords in our Ngaze Platform. Let’s take a look at an example using a pizzeria in Chicago. Here’s how we would pair keywords with the pages of their website. Once you have paired each page with a primary and possible secondary keyword, you’ll then need to optimize your page’s title. For every page’s title, the primary keyword should appear first, the secondary keyword (if applicable) next and separated by pipes (|). Only the homepage and your contact page should include your business name. Page titles should be no longer than 70 characters. If that means only having one keyword in the title, so be it. Finally, make sure every page title is unique. With the page titles optimized, we’ll then need to optimize the other piece of metadata that people will see in Google—your page’s meta description. This is the short description below each page in Google. These can be a little longer—150 characters maximum—you should still be succinct and to the point. Make sure to include your keyword or phrase in the description but, most importantly, make the description enticing. It needs to make people want to click your website. A word of warning with this step. We do not recommend changing your existing URLs. This can have a bigger negative impact on your rankings than it can a positive one. However, for all future URLs that you create, bear in mind the following points: keep them short, include the keywords and separate every word with a hyphen (-). We’re almost halfway through. Next up is your page’s heading tags. Every page on your website should have one H1 tag and only one! For most WordPress pages, this will be the page title. The H1 tag should contain your keyword (as near to the front as possible) and accurately describe your page. Some people try to stuff their keyword throughout their page’s content. Don’t do this! Use your keyword naturally a couple of times throughout your content but don’t use it more than this. If you think you are using your keyword too much, don’t be scared to cut it where possible. We are nearly home and dry, just a few more steps to go! Here, we are going to make sure that there is a call to action on every page above the fold. What this means is that there is a command for a user to take that they can see without scrolling. In most cases, this will be “order online”, but it could be “reserve a table”, or “place an order by phone”. For each page on your website, look for opportunities in the content where you can link out to the other pages of your website. So on your menu page, you can link to your online ordering page, on your online ordering page you can link back to your menu page. You should have links to all of your major pages on your homepage. When you create the internal links, make sure that the part of the sentence that you link to contains the keyword of the destination page. Your images should be optimized for your primary keyword, too. On each page make sure that the main image on the page has an alt tag which contains that page’s keyword. The title of the image should also contain the keyword (it can be the same as the alt tag) and the image should be as small as possible without sacrificing quality. That’s it. You’re done! The only thing left to do now is to check your on-page optimization. First, check each page with Google’s Pagespeed Tool. Then, check each page with The Digital Restaurant SEO Checker. Both Google’s and our own tool will tell you just how well your page is optimized and exactly what you can do to improve it. If you really want to maximize your on-page SEO, it’s time to reach out to The Digital Restaurant. By becoming a member you won’t just get access to the tool listed above, you’ll also be able to reach out to us for help and commission us to do the work for you. Can’t wait to get started, find out more about our platform or get in touch today. ⟵Does Your Restaurant’s Website Work For Disabled Customers?